Sophia had her first seizure at 5 weeks old and was diagnosed with epilepsy at 6 weeks old. She has had so many blood tests, a lumbar puncture, MRI, ECG, EEG scans and more. On her 6 week birthday we saw our baby girl being sedated so she could have an MRI scan to check there was no brain damage. Thankfully there isn't. At 4 months we were in hospital for 2 weeks due to the number of seizures she was having, resulting in her being too tired and weak to feed. We left hospital with Sophia being so weak she could no longer hold her head up unaided, she was so unhappy and spent most of the days sleeping. At 9 months we got Sophia's genetic results back and unfortunately she has a refractory genetic epilepsy with a mutation of the SCN8A gene resulting in delayed development. We have been told she may never walk or talk. 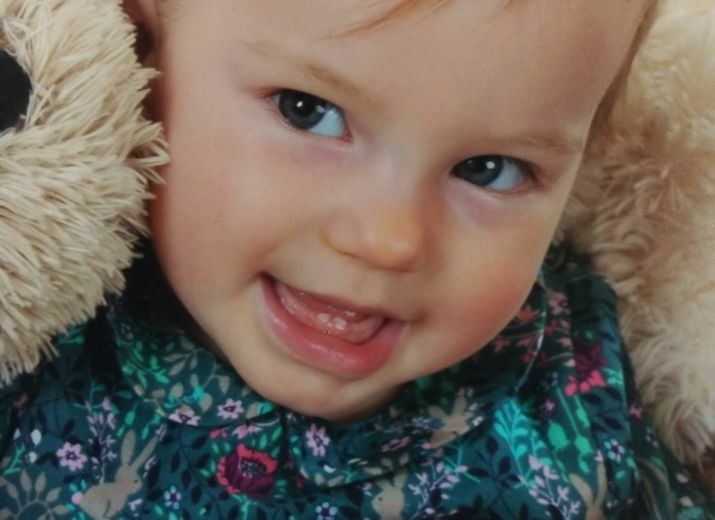 She has just turned 1 and is still unable to sit unaided, walking and talking is still unknown. We want Sophia to have the best chance possible at having some sort of 'normal' life and need to give her care and treatment to push her and help her development. This isn't cheap, we have already spent nearly £2,000 on treatment and need her to have more. If you have read this and want to help we appreciate every single penny donated to help Sophia to develop as much as possible. Thanks to everyone who has donated we have raised enough for another set of chiropractor appointments and will be looking in to physio appointments but don't know how much these will be yet. This won't be a quick fix but with ongoing support we have more options. Helloo Anna and Marcus, we are so happy that the therapy in Munich helped! You were really courageous, we know it was not easy at all. Please keep on telling us how Sophia and you are doing and don't hesitate to contact your catalan family for anything you might need. Big hugs and love!